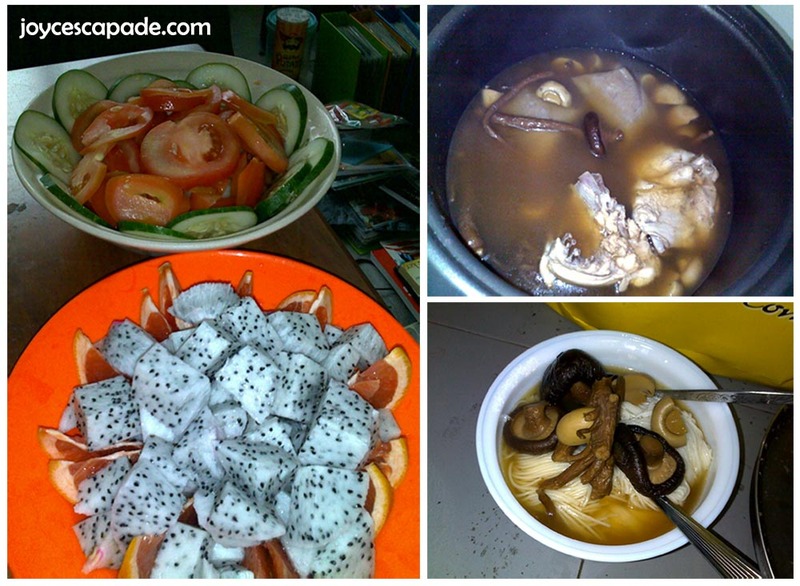 We have chicken herbal soup with Chinese dried mushrooms, button mushrooms, and mee sua (rice noodles). The noodles are cooked separately so that they won't become a lump of gooey mass. For more fiber, we have cucumbers, tomatoes, dragonfruit, and grapefruit. Well, it takes forever to finish nom-nom due to the huge amount of fruits! Hahaha!